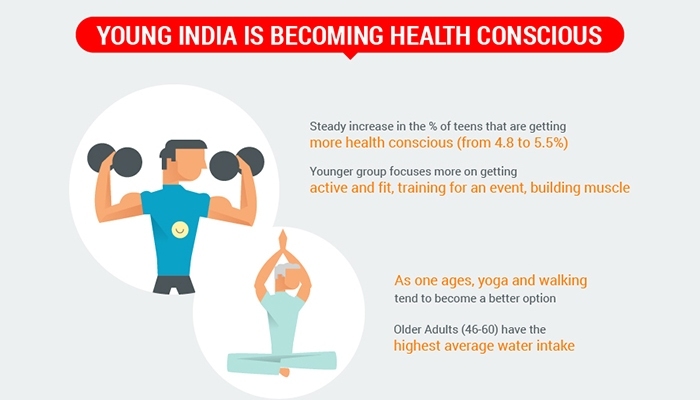 GOQii, the health and wellness ecosystem that is striving hard to get Indians to be fit and healthy and prevent illness, has recently released it’s India fit report which reveals some hard facts. As per the GOQii India Fit’ 2017, while, the average daily step count of an individual across India is 7746 steps, a steady increase over last year’s figure of 6800 step counts, it still does not match the recommended daily step count of 10,000 steps by World Health Organization in order to lead a healthy lifestyle. 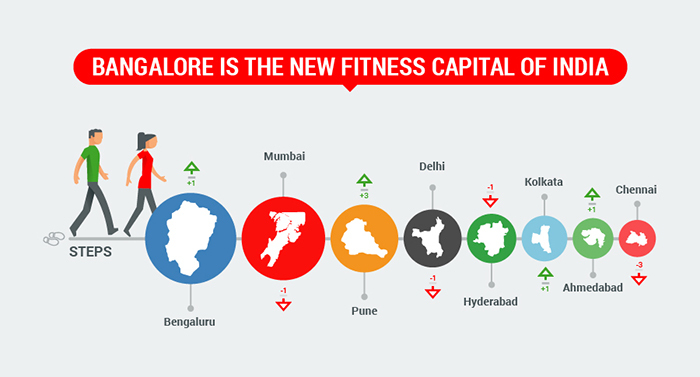 According to the report, Bengaluru and Much as moved ahead of Mumbai and is dubbed the most active city with a daily average step count of 7915. 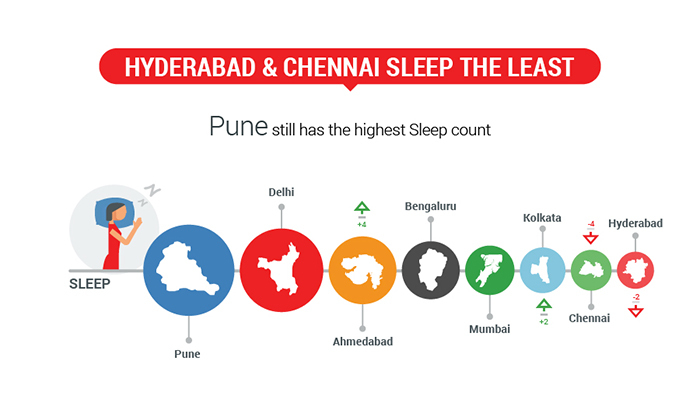 Bengaluru and Mumbai are followed by Pune. Younger population (below 35 years age bracket) in Bengaluru and Chennai is more active as compared to people in other cities. 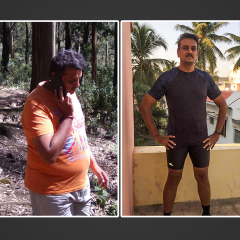 While it is overwhelming to note that people are walking and striving to be fit, the alarming fact is that chronic lifestyle diseases are a cause for concern in the current times and the epidemic is spreading like wildfire here in India. There have been disruptive lifestyle changes in the country over the past two decades mainly due to the rapidly evolving urban economy and the Indian Middle class. Chronic diseases (eg, cardiovascular diseases, diabetes, and cancer) and injuries are the leading causes of death and disability in India, and this is only likely to increase in their contribution to the burden of diseases over the next two decades. 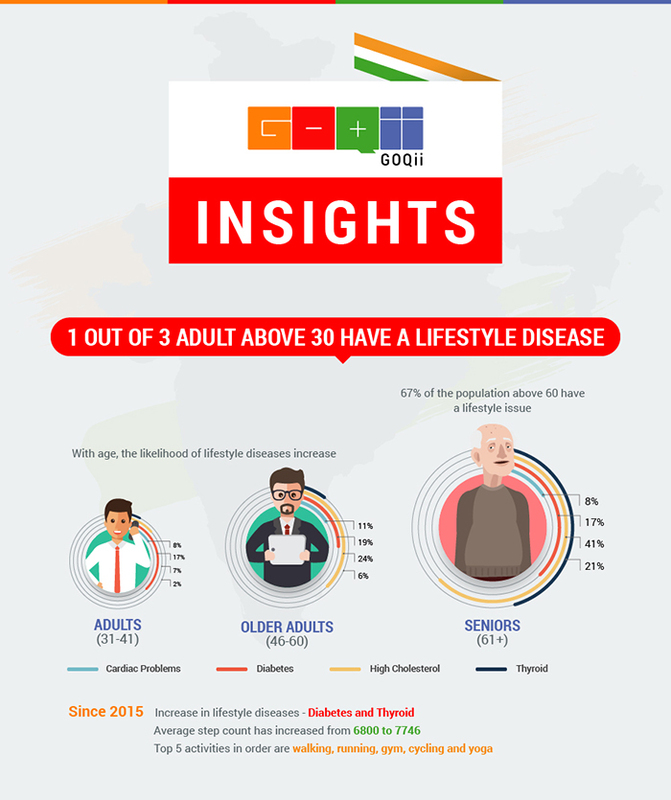 As per the GOQii India Fit’ 2017 report, 33% of the Indian population above 30 years of age is suffering from one or more lifestyle diseases such as diabetes, cardiac problems including high cholesterol, blood pressure, thyroid, and Cancer. Close to 9.4% people are suffering from high cholesterol followed by 7.7% suffering from diabetes and 6.76% people suffering from thyroid. 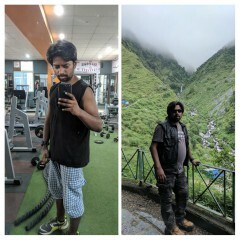 Based on data from over one lakh subscribers of GOQii both male and female from across 8 fitness conscious cities in India namely Ahmedabad, Bengaluru, Chennai, Delhi, Hyderabad, Kolkata, Mumbai and Pune, the report states that since 2015 there is a consistent increase in lifestyle diseases. As per data, a major cause for concern is high cholesterol among individuals. It is estimated that around 130 million may suffer from lifestyle diseases such as diabetes in the next few years. Apart from these two diseases, the other prevalent chronic diseases are Cardiac ailments, hypertension, and high blood pressure. The risk factors for chronic diseases are highly prevalent among the Indian population. Data starting January 2016 through December 2016 was collected to determine the various fitness metrics (rest & activity) such as steps, food, water, sleep, etc. We have been very meticulous in collecting data and then deciphering it to be realistic so as to bring out near accurate results. 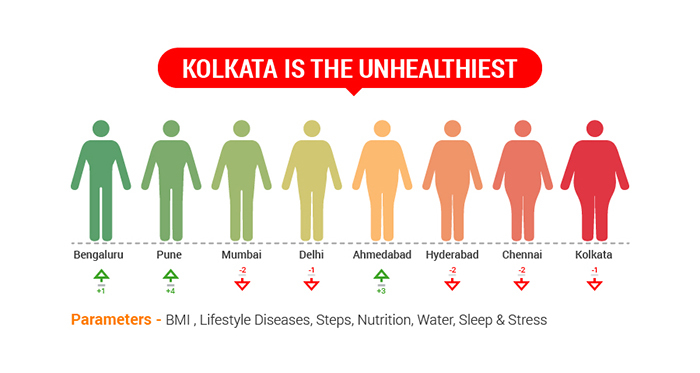 Another alarming fact is Kolkata has earned the tag of being the unhealthiest city in India. The majority of the population in Kolkata suffers from lifestyle diseases related to stress, cardiovascular ailments, and digestive disorders. Kolkata also tops the chart with the highest number of digestive disorders. Cities like Chennai, Ahmedabad, and Hyderabad have maximum cases of obesity amongst Indians. Although awareness around the use of medication amongst people has increased, their lifestyle is still the same as there is no one to tell them the benefits of lifestyle change. GOQii India Fit’ 2017 report indicates that an average Indian sleeps for 6.72 hours every day which is less than a healthy average of 7-9 hours daily. Lack of proper sleep is a grave concern for 31.3% population. And with age, India is sleeping lesser by the day. This coupled with the lack of exercise and increase in stress is adding to the cause of falling health levels of Indians. People in the age group of 31-60 years are the most stressed people in the country. Gender wise data reveals that men across category are focused on staying active with weight training, playing sports and running apart from adding more protein in pre and post workout meals to their diet. Women, on the other hand, are focused on weight management and eating healthy. Women also prefer dance, yoga, and aerobics as part of their daily exercise. Overall, the report recognises the fact that Indians are trying to improve their lifestyle but a lot is yet to be done. Eating right and exercising regularly is the first step in the right direction. ‘’It is encouraging to see that young Indians are increasingly focusing more on preventive health and controlling illnesses as they age. I hope that through such initiatives, we are able to motivate more people to adopt a healthy lifestyle,’’ ConcludesGondal. That sounds awesome… can I join the group…? Thanks Viraj for your feedback. 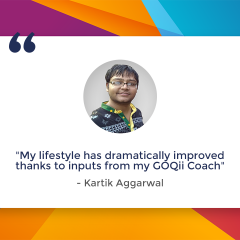 This is motivating for us at GOQii as well to serve you and many like you better. I am very happy with the band by seeing it I use to remember that I have to drink water and there r still more steps to walk to complete the day I use to feel that there is target for me to complete the day. I am extremely Happy using the band. I was quite health conscious before using the band, but after using the band for past three &half months, it made me aware about my daily steps, proper food intake & timely water consumption. It is highly motivating with the timely feedback from the coach. It’s a wonderful experience. 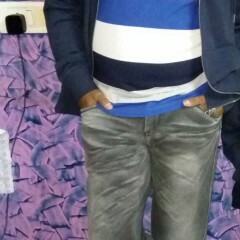 I also Goqii band holder, and looking for active partner or group in ahmedabad for motivation , discussions and ideas. Great! It is good analysis BUT the MAP OF DELHI IS WRONG. You are using HARYANA map in place of Delhi !! 🙁 Can I trust your data or there also such errors are there?? ?